In his current role Asaf is managing the development of novel drugs in Respiratory, CNS, Pain and Oncology. In addition to Novel drugs, he is leading development for biosimilar and generic. Asaf relocated to the US 5 years ago in order to lead the global project leadership group which start at portfolio selection, develop product strategy and execution. Asaf holds Financial responsibility for overall R&D budget which is more than $1 Billion. On top of that, he leads Teva R&D strategy, and long term planning. 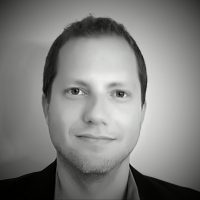 He has been involved in several development partnerships for generic biologic and other unique technologies platforms. In his 13 years career at Teva, Asaf has held a number or roles ranging from chief of staff for the CEO, project management, Finance, Merger and Acquisition and other strategic roles. Asaf earned his B.Sc in Industrial Engineering at Technion – Israel institute of technology, Haifa, Israel. Asaf believe that prioritizing the needs of our patients requires an integration of creativity, innovation, courage, and above all humaneness.